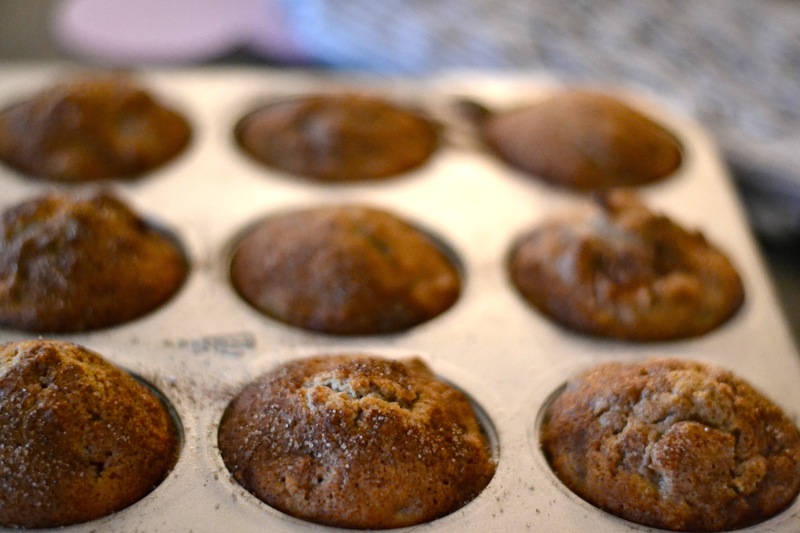 OK. You might be right… It seems I post a lot of muffin recipes. But who doesn’t love a muffin? Grain or grain-free, I’m a baker at heart. 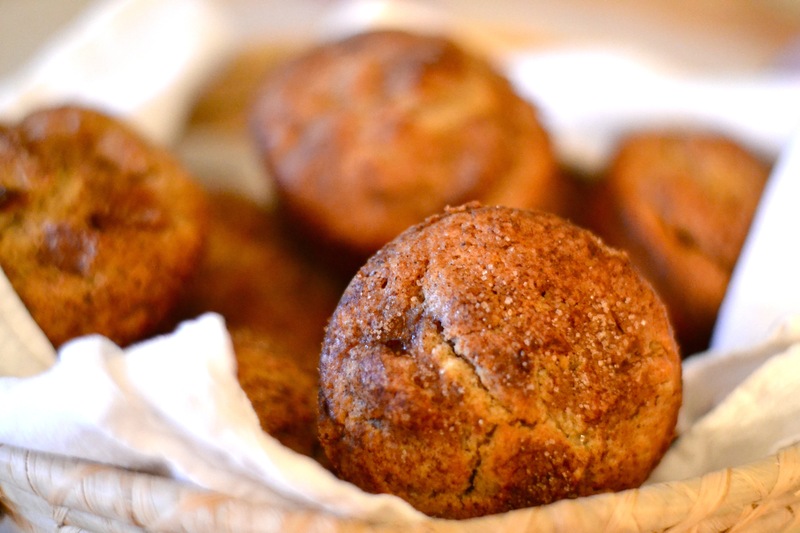 Muffins are simple to make, nostalgic for some of us, and there are infinite possibilities in the realm of muffins. 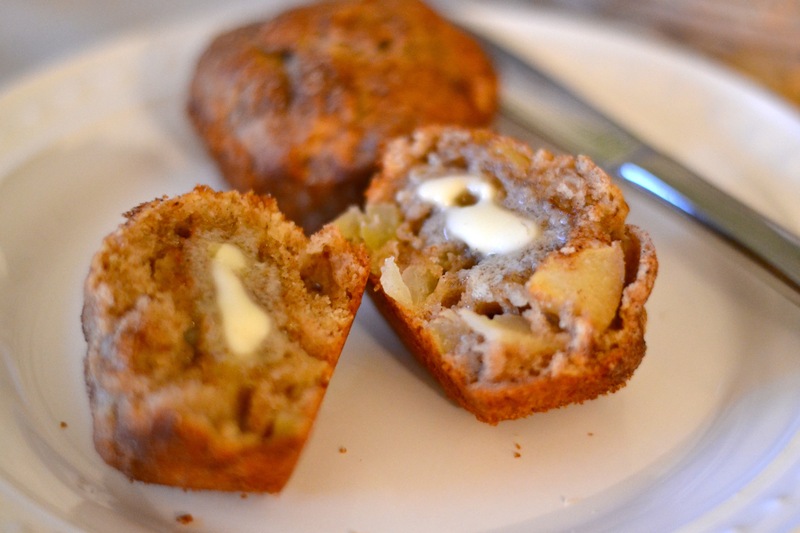 These almond apple muffins are moist, hearty and flavorful, just like muffins should be. They also get a boost of protein from the almond flour, and as usual, they’re low in sugar. 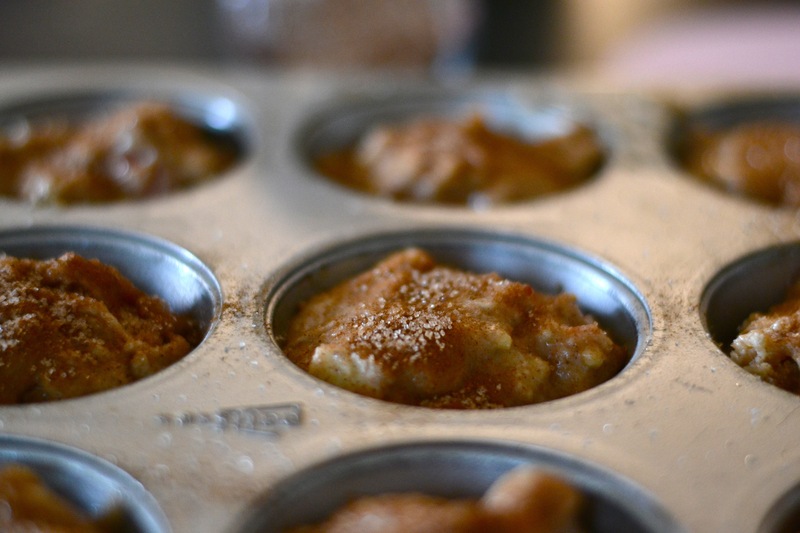 Grease a standard muffin pan or use cupcake liners. Mix the flours, baking soda, salt and 2 tsp ground cinnamon in a medium bowl. Use a fork to break up any lumps in the almond flour. Add in the diced apple and stir to coat the pieces. In a separate large bowl, beat the butter and oil until fluffy. Beat in the eggs and 1/2 cup sugar until well blended. Mix in the vanilla extract and milk. 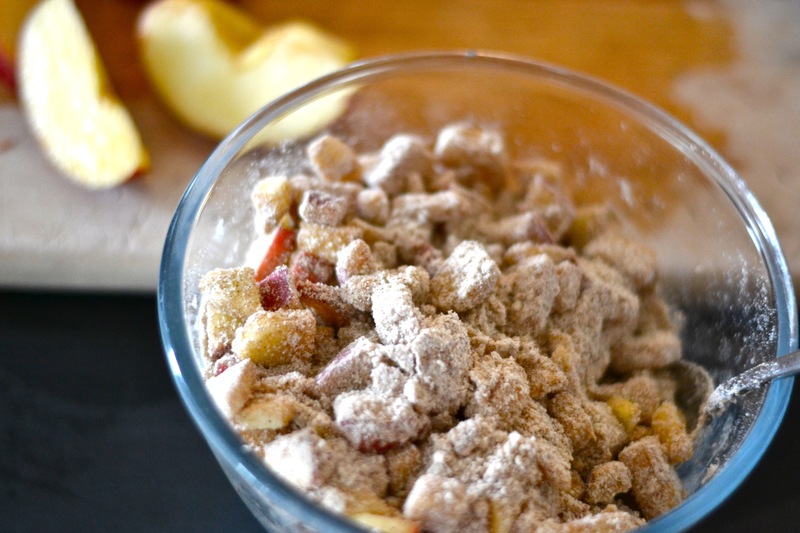 Fold the flour/apple mixture into the wet mixture stirring until just blended. Spoon into the prepared muffin tin filling each cup about halfway. Mix the remaining 2 tbsp sugar and 1/2 tsp cinnamon in a small bowl. Sprinkle over each cup of muffin dough. Place the muffin pan in the oven and bake for about 25 minutes or until muffins are lightly golden and a toothpick inserted in the center comes out clean.